Sometimes the simplest security solution is just that, simple security. Simple Security usually starts right at your front door, the same one you use to walk through. Your door security is more important than any other security measure you can take but usually it is overlooked in favor of a more expensive high tech solution that can leave your door wide open to intruders. Did you know that your security hinges on the basics of who has access to your building? Locksmithing is a fundamental security ingredient that you can't afford not to add to your recipe of security. As well established and reputable Toronto Locksmiths and Toronto security experts we encourage you to think about the importantance of locksmithing security services as your best form of protection. This allows you to capitalize on the benefits of trusted alarm systems along with ULC listed alarm monitoring. Physical security requires a complete audit of all exterior doors to the premise to determine exactly what controls the access to your home or business. Naturally all the other security services we offer like access control, cameras, security film, window bars, controlled lighting and intrusion alarms are important ingredients in building your layers of security for your home and family. Taking proactive measures to avoid potential break-ins or vandalism is paramount in protecting your family. These criminal acts can prove very costly and compromise the integrity of sensitive information and the safety of your loved ones. Changing the locks to protect the building perimeter and restricted interior areas is highly recommended as a priority in security. As our team of professional Toronto security experts are ready when you are. You can count on our protective services alliances to dispatch and secure your premise until our locksmith technician can attend to secure your home or business. Our Toronto locksmith division is more than just locks & keys, its truly your most important security system and should not be over looked at the start of your quest for security. 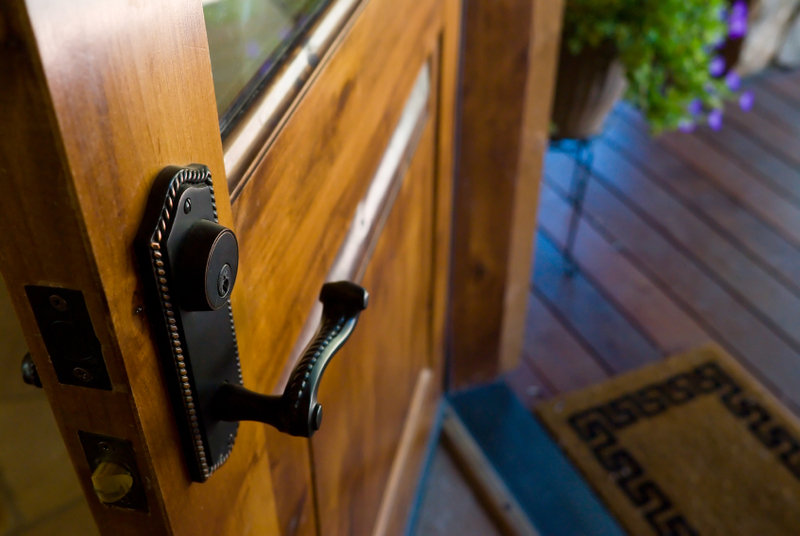 As security starts literally right at your front door let us show you how to protect your entry. Call us now at 416-773-5625.